I use whole cow's milk to make her cereal with (following advice from my HV) but my daughter now won't touch her formula, I've tried everything from adding half a teaspoon of banana milkshake powder, to giving her the bottle at different time throughout her feed. She only has her milk for bedtime and breakfast... show more I use whole cow's milk to make her cereal with (following advice from my HV) but my daughter now won't touch her formula, I've tried everything from adding half a teaspoon of banana milkshake powder, to giving her the bottle at different time throughout her feed. She only has her milk for bedtime and breakfast time, and I understand how important it is for her to betting the right amount of calcium, and she is eating yoghurts and a small amount of cheese but what else can I do to try and get her milk into her? Also, I am aware they only advise you to give other drinks at mealtime, but how much should she be drinking really throughout the day? Sometimes I'm lucky to get 9oz of fluid into her during the day, but again, she's not interested in it, I have to give it to her in a bottle as the follow on cups, she won't take!! Babies need about a pint of milk a day, you could try adding it to mashed potaotes or making cheesy pasta with some of the milk. She's only 9 months don't worry about follow on cups yet - my daughter is 15 months old and whilst she will drink from a sip cup, she still has milk from a bottle. Fluid wise, as long as she's not having solid stools then I think it's generally agreed that baby is not de-hydrated. try adding some water to her puree food. I had this problem with my son. Whatever anyone tells you, if they don't want milk they wont have it. What i did was make lots of meals with milk in like cauliflower cheese, pasta with a creamy cheese sauce. I also gave him 2 yogurts after each meal so he was having 6 each day. I think it's great that you can get 9oz down her. My son still wont drink milk. Any don't worry about not using follow on cups, you just do whatever is easiest. After all she is only 9 months old. I sometimes see 3 year old with bottles. Don't worry about those people who are questioning you giving her whole milk. Different countries give different advice and if your HV (Health Visitor) says that its fine then it is. They are after all the professionals. The people who are commenting on it are problaby advised to do things that we aren't like putting rice cereral in a bottle etc. Each to their own. You stick to what works best for you. Dont give her any breakfast until later on, give her formula first thing, she's probably full from breakfast to want milk. Also stop using cow's milk on her cereal, use only formula. Why not try giving it to her in a beaker or sippy cup rather than a bottle (kids love different things)? You can try mixing formula into her food. Change the brand of formula you use. If she carried on refusing, go to your GP as she'll need calcium supplements if this continues. As you say it's very important at this age. 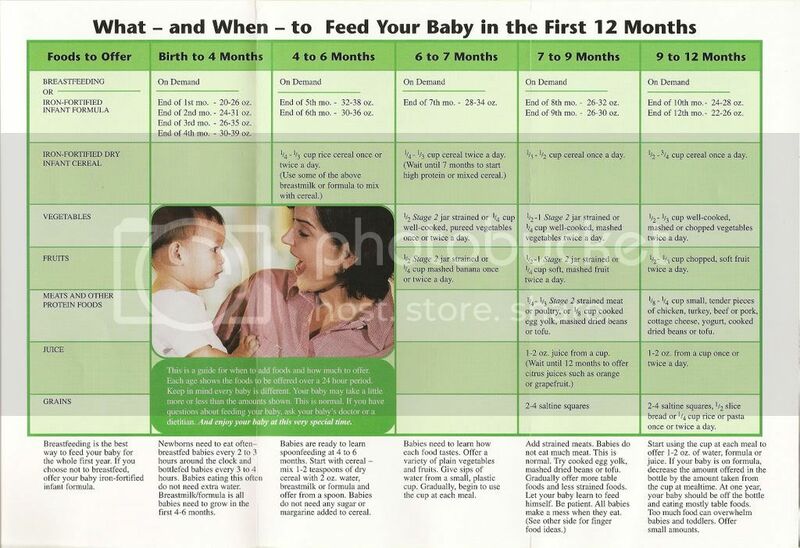 Well babies know how much they "need" or want so Im sure she will be ok. At the end of the 9th month babies are "supposed" to eat 26-30 oz of formula a day. Are you saying she wont take it out of the bottle? Try giving it to her out of a cup. I took my sons bottle at 10 months cuz he wouldnt use it and just gave him formula from a cup. I have this thing that the Dr. gave me maybe it will be of some help to you. I hope I helped a little bit :) But if you are to worried you can always ask ur Dr. If you intend to learn ways to power it to maximise your sports betting winnings then this system is for you https://tr.im/XWKcy because Zcodes System is all about this. Zcodes System may be the name of a sports betting process that's existed, in some variety or another, because 1999. Zcodes System is an enhanced statistically based system that's cracked the “code” of how sports games may play out. Zcodes System is your absolute best ally in activity betting. If you want to learn ways to power it to increase your sports betting winnings then this system is for you personally https://tr.im/zVKG9 because Zcodes System is about this. Zcodes System may be the title of a activities betting process that's existed, in some variety or still another, since 1999. Zcodes System is a sophisticated statistically centered system that's broken the “code” of how sports activities can play out. Zcodes System is your best ally in sport betting. Both my kids went thru this type of phase... she will most likely grow out of it... so I wouldn't be too concerned. Maybe try chocolate milk or milkshakes. My daughter wouldn't never turn down a vanilla milkshake..
Once they have whole milk they won't go back to formula at least that is what happened my son. To drink more milk, I had bought gerber yogurt blend juice; put half of the yogurt juice and then whole milk shook it up and then gave the sippy cup to him, he loved it. Each time reduce the amount of yogurt juice. 9 month old daughter doesn't drink breast milk or formula are we right to put her onto milk? My 9 month old daughter stopped drinking milk suddenly.? Can a 9 month old drink Milk? My 10 month old daughter does not drink milk? Please help me out friends.. i am very worried for my newborn? Can I take you to the movie theater and buy you a giant popcorn 🍿 🎥? Is it ok to bring a month old baby to the movie theater? So my wife just had our baby and found out she can’t breastfeed, but her breasts are swelling. She tried frozen cabbage but it didn’t work.? Should a dog lick a baby ? What age is it recommended to get your kids vaccinated?